In our last article, we gave reasons why online advertising should be considered in today’s advertising media mix – essentially boiling down to immediacy, flexibility, economy and statistical predictability. To purchase online media space effectively, you must first analyse your audience and see where, on a given website, they are likely to be browsing. 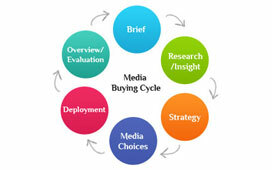 Secondly, you must allocate a budget for your online campaign. It then becomes a case of making sure that your ads achieve enough impressions to make it worthwhile. Virtually all website operators provide a cost per 1000 impressions (CPM). 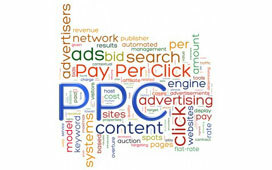 Thirdly, select the optimum positions in the website that you wish to place your advertisement. Remember that the number of impressions an ad will deliver varies with each page of the website. The home page will usually deliver the most impressions for an ad but it will use up your available budget very quickly. Let us run you through an example. Let’s imagine we are selling a trackday type sports car. We’ll call it the Nucleus. We want to sell this on a fictitious website we’ll call injectorminds.com, as we know that a lot of our potential customers will be browsing this site. We can afford to spend a total of £1,200. We need to select the areas on the website that are most appropriate. As we are trying to sell a product to a niche market, i.e. prospects with a propensity for trackday participation in their own vehicle, we need to make sure that our ad appears on the right pages on the site. In our fictitious case, injectorminds.com has a page called Caterham, one called Track Day Cars and one for the Ariel Atom, all perfect for our audience. The way on-line advertising works, is that each page will create a number of impressions, and with your budget, you buy a certain percentage of these. You have to realise that ads rotate and so your ad will not necessarily always be visible. Therefore, in order for your ad to make sense, you want to achieve a 1 in 3 to 1 in 4 rotation, which effectively means that 1 in every 3 or 4 for people have your ad displayed on that page when they visit. Anything less than this is a waste of your money. We must be careful to select the optimum position to place our ad, because a position that achieves a high number of impressions (the Home page for example), means the smaller % we will be able to afford. If you look at the homepage here, to achieve 1 in 3 / 4, we would need to buy at least 500,000 impressions, which would cost us £12,500, more than 10 times our budget! So instead, if we look at the Caterham page, to achieve our minimum of 1 in 4, we need at least 27,250 (109,000/4) impressions. We round this up to 30k, so this will cost us £450 (30 x 15). Likewise, for the Track Day Cars, we want a minimum of 22,250 (89,000 / 4). As this is probably the most relevant page for us, we can again go for 30k impressions at £450. Lastly, we’d want at least 7,750 impressions of the Ariel Atom page, and we can get 10k for £150. So we have now made sure that our ad is shown on all 3 of these pages at least 1 in 4 times each time the page is viewed, and we have not even used our entire budget. Impressions and click-throughs are verified by click audit, i.e. a piece of coding attached to the page on which the ad appears. Now as we are being focused on our target audience, we would also restrict the number of times any one person would see the Nucleus ad, say to possibly max. 5 times. The injectorminds.com system would recognise the visitor’s IP address and switch him/her off after the set number of visits. This is done to prevent any uninterested visitors burning our impressions. 5 viewings is generally reckoned to be all one needs to get the message. And indeed, if someone has seen the ad, and visited Nucleus’ website as a result, then there is little point in continuing to expose them to the ad. Better to put it in front of someone else. Likewise, through real-time monitoring it will be possible to see which ad is performing well and which one isn’t and it will be possible to move impressions from the under performing ad, to the better performing one, again helping you maximise your spend. So although buying on-line media can be tricky, we hope that our advice will help you making effective purchasing decisions in the future. Naturally, if you need an on-line ad producing or wish to get more information, please get in touch!